The best automotive videos have been announced at the fourth annual CitNOW Video Awards after a record number of entries. Over 948 high-quality videos were nominated in 2018, with the finest examples handed awards at the annual ceremony held at the home of BAFTA in Piccadilly, London. 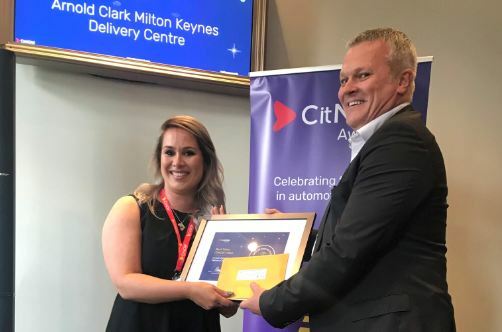 The winner of the Best Overall CitNOW Video was Alicia Kuhn from Arnold Clark Milton Keynes Delivery Centre. Arnold Clark Milton Keynes Delivery Centre was awarded the coveted Best Sales Video for its personalised Kia Ceed message to a new customer which went beyond a typical handover video by delighting the new owner with added surprises. The Best Workshop category saw the highest number of nominations, with 509 individual CitNOW videos submitted by retailers. Lookers SEAT Manchester clinched the win for a detailed walkaround of a car undergoing its health check, highlighting issues in easy to understand language and giving context to the work needed to help inform the customer’s decisions. CitNOW’s global breadth of customers was once again highlighted with over 100 entries into the hotly-contested Best Overseas Video category. Taking top spot was Bartons Wynnum in Brisbane, Australia for its presentation of a Hyundai Accent. Judges were impressed with the overall high standard of entries, especially in the Most Creative Use of CitNOW category where a winner and two highly commended prizes were issued. Leading the way was TrustFord Wilmslow for its innovative and original video offering clear directions to the retailer site entrance, customer car parking and even introducing the on-site staff. This entry highlighted how video can put a customer at ease before they have arrived at a retailer by foreseeing and eliminating unnecessary stress. Sponsors of the CitNOW awards – Arnold Clark, Ford, Jardine Motors Group and Lookers – also handed individual recognition to their own top-performing retailers with Best Workshop and Best Sales video awards up for grabs. The rise in award entrants reflects CitNOW’s growing popularity with retailers globally, having increased its retailer installations by 55% in 2016 and a further 39% in 2017, reaching 7,400 sites worldwide. In the UK alone, the 3,200 retailer sites using CitNOW produced more than seven million personalised videos for customers last year. Alistair Horsburgh, CEO of CitNOW said: “This year’s CitNOW Video Awards are the biggest and best yet with a record number of entries from both the UK and globally. Congratulations to all the winners and a very well done to everyone who entered, the standard this year was exceptionally high.